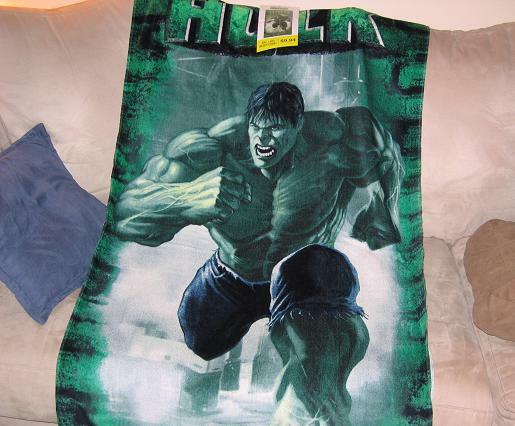 This is the new Hulk towel out – and it’s almost big enough for me to use! Actually it’s a bit thin. I like my towels thick and warm and fuzzy. Like my women. Wait, that might have come out wrong… let me go back and read it. Nope, that sounds about right. I wasn’t going to show this next – I have a bunch of other things to post that were in line first – but then I went to Target last night and was talking to the manager about getting the promotional material once they were done with it when I spotted this little beauty just put out! Even the package is cool! 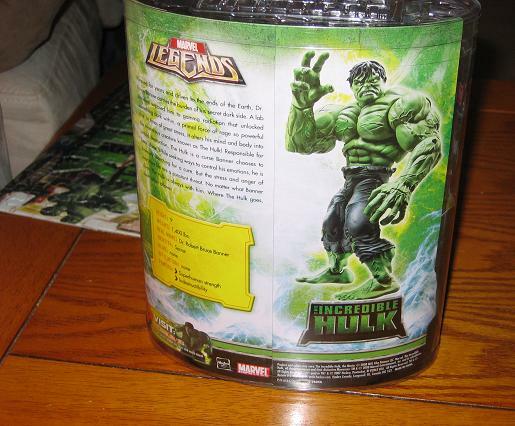 The Incredible Hulk is on the top of the package and the back of the package has a few stats – including saying that his identity is… Secret! 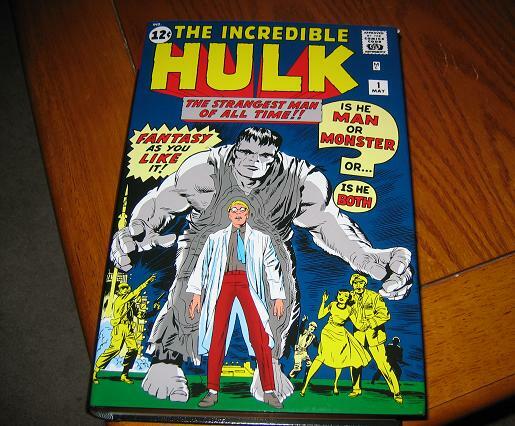 Wait… the identity of the Hulk’s alter ego that we know from reading the comics that have been coming out since 1962 is now secret? Well, crap. 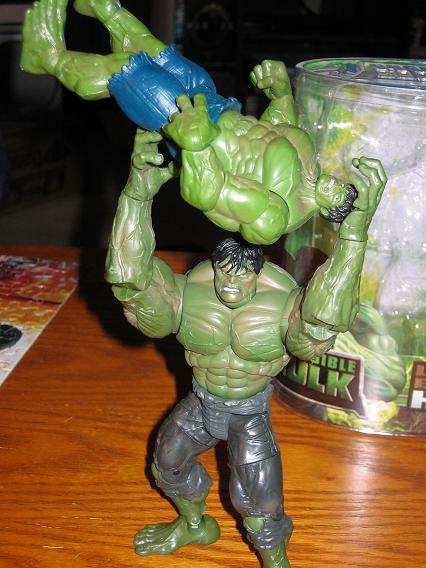 But the best thing by far is that this guy TOWERS over the regular action figures. He’s huge in comparison! 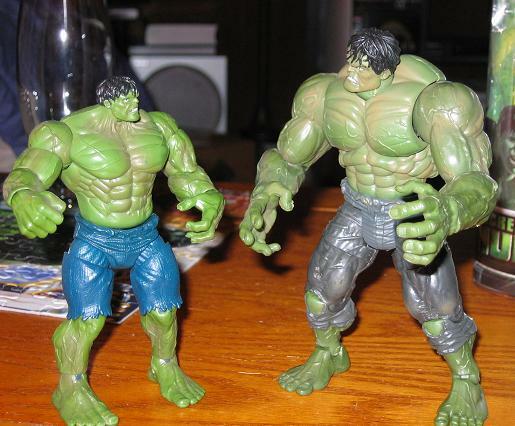 Now, we can only hope that they bring out an Abomination this size – hey, I might not like the design – but we need acuracy in these toys, don’t we? 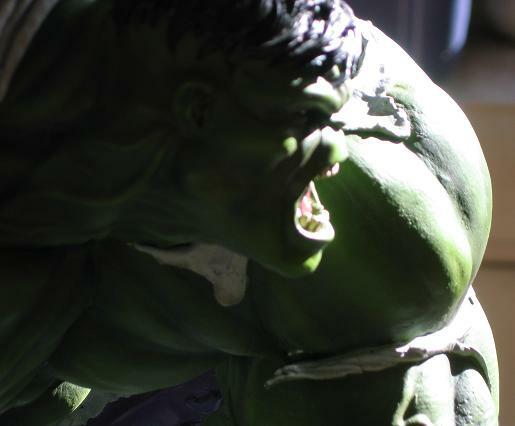 This is one the best looking Hulk statues – besides Bowen (I’m a loyal kind of guy) – besides Hulk looking so massive compared to Spiderman but the look on Hulk’s face is so full of anger and rage – no other company has been so sucessful in capturing such raw emotion. 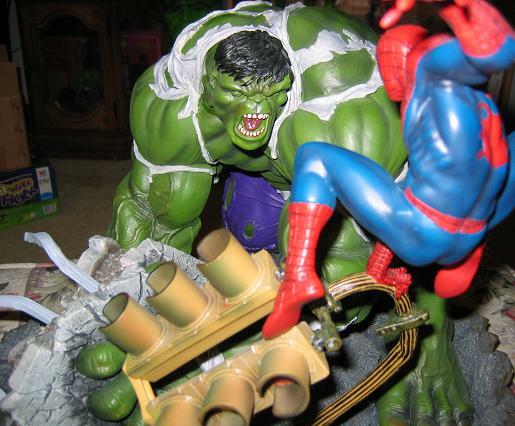 The base is rubble and I actually compare this base to the Marvel Milestones statue – and prefer the MM to this. 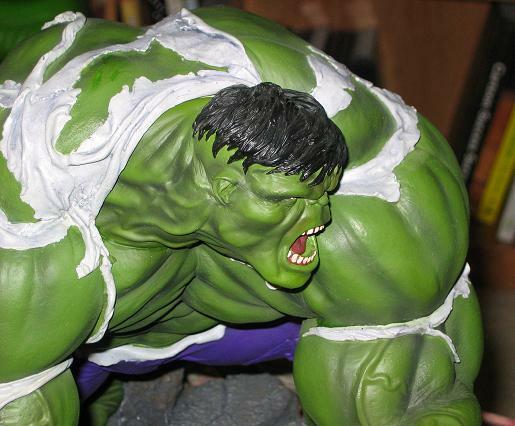 There are really great parts – but there are pieces that look too plastic. Also, for the massive size it is quite light which leads me to believe it’s completely hollow. But you can’t argue with the results. It’s still an amazing statue. 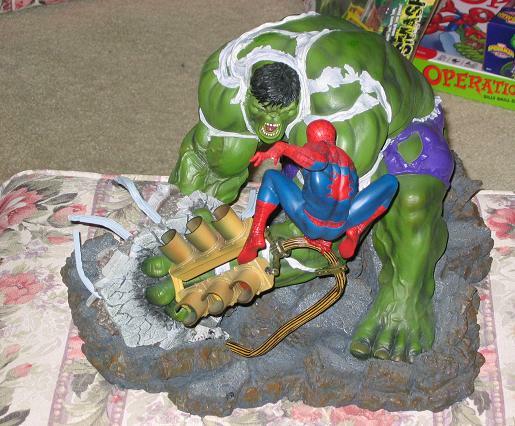 The Spiderman looks agile and his quick fluid motions are displayed well here – too bad the statue itself isn’t as easy to display with both parts together. 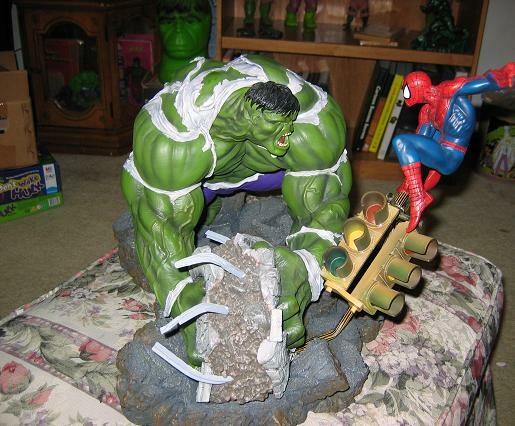 I have taken the Spiderman off and displayed Hulk alone because either Spidey blocks Hulk’s face – or you turn the statue completely around and having Hulk’s back to you. 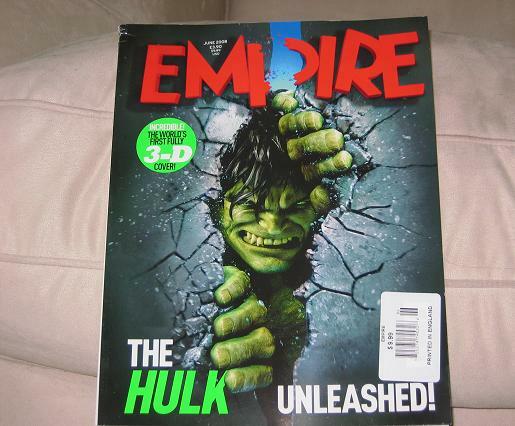 So, this magazine finally jumped the puddle and made it’s way to the States. I reported about this mag a few months ago – but now it’s here! 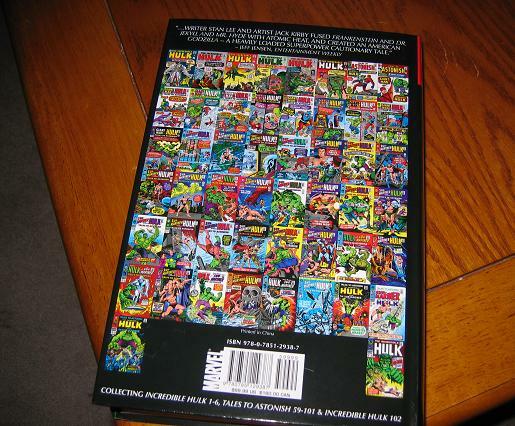 The cover is pretty sweet – really does capture the Deodato image amazingly well. I found this mag at Borders, actually, I kept going back looking for it. One of the people there noticed and told me to just leave what I was looking for and they would call me when it came in. And would you believe it? 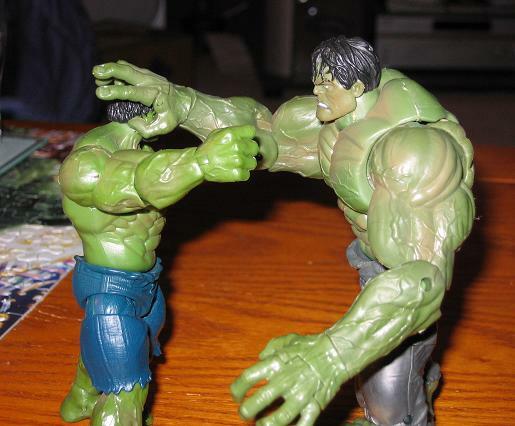 A few weeks later – they called! It’s nice to have a company that still gives you that kind of service. 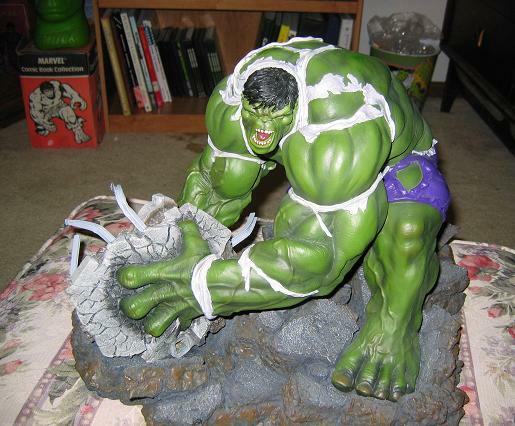 That is the worst looking Blow Up Hulk ever! Why is he so skinny? Goodness! And you have to enter between his legs? That wasn’t great planning. 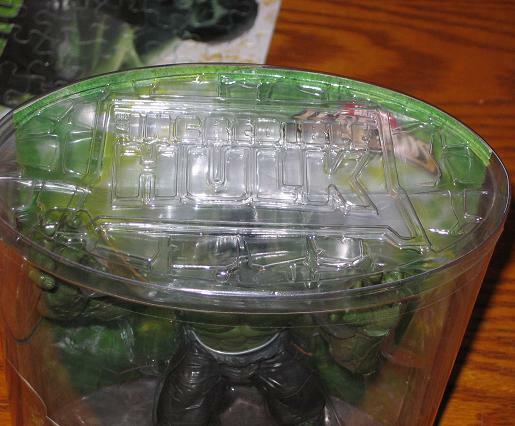 Chalk this up to creepy toy designers. 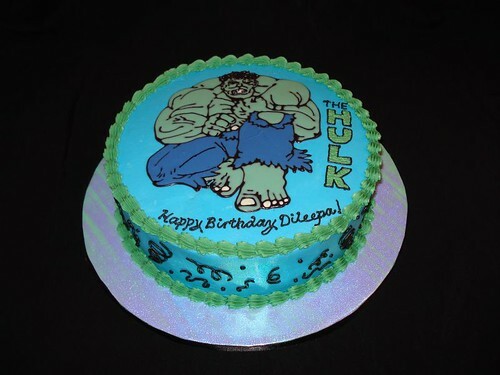 So, this is not my cake, nor is that my real name. Is that even a name? Dileeqa? Or is that Dileega? How do you even say that? DIL-EEK-WA? Can that be right? Oh well, Happy Birthday to me. So, I got home and found this package from my friend containing THIS! 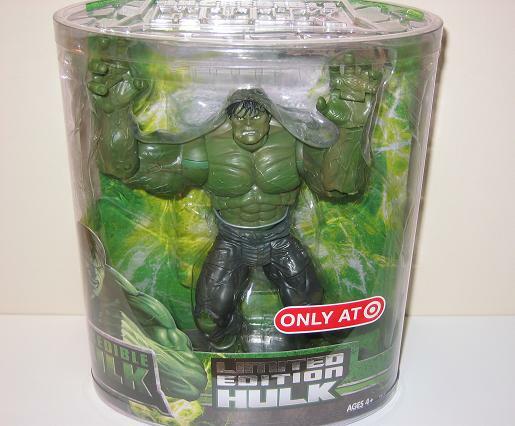 Thank you, Corry, for sending me this batch of Hulk goodness! 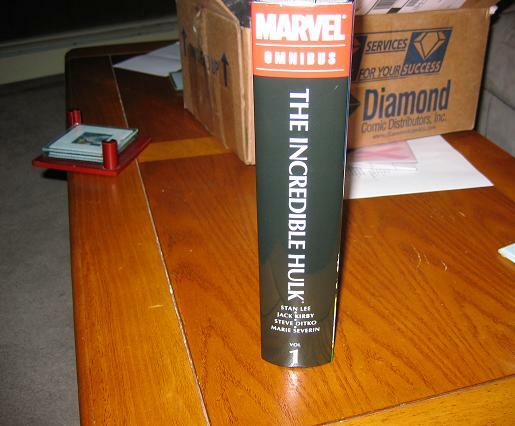 The Omnibus has collected the first 6 issues, every TTA and Incredible Hulk #102! In full color! With letters pages! 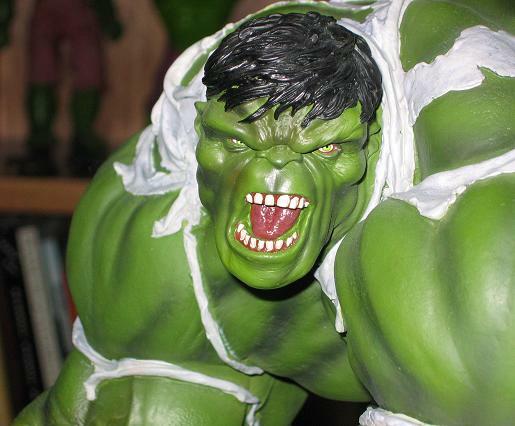 10+ to Marvel for putting together such a great collection and even more props to Corry for sending me this ultimate Hulk package! Thanks! Happy Birthday to me!